The steam power plant is the important source to produce the electricity. The major portion of electricity demand is fulfilled by the steam power plant. It is also called as thermal power plant. 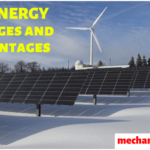 It provides the electricity requirement to different areas. In this article we will study about the construction,working, efficiency, advantages and disadvantages of steam power plant. It is the power plant which is used to generate electricity by the use steam turbine. The major components of this power plant are boiler, steam turbine, condenser and water feed pump. Cost of the land: The cost of the land which is selected for the installation should be minimum or economical. Population density of the land: The distance of the steam power plant from the public area should be at appropriate distance. 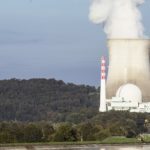 So that in case of any failure or hazard happen in the plant, the population of the area near to the power plant should not be affected. Availability of water sources: There should be a plenty of water sources in the selected area. Since the power plant requires a large amount of water for the generation of steam. Availability of fuel: The availability of required fuel (coal) should be there because without fuel the plant will not work. Type of land: The land which is selected for the power plant installation should be plain enough and it is suitable for the strong foundation for the various machinery of the plant. Scope for the future demand: The size of the land should be such that it is capable for the handling of future power demand. Availability of transportation facility: The transportation facility is must in the installation for the power plant, because any material cannot be transported to the power plant form its required location in lack of transport. There should be easy availability of proper transportation facility at the selected site. Coal Storage: It is the place where coal is stored which can be utilised when required. Coal Handling: Here the coal is converted into the pulverised form before feeding to the furnace. 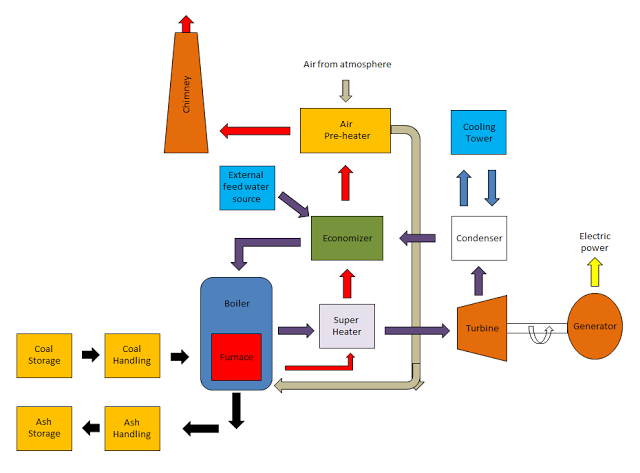 A proper system is designed to transport the pulverised coal to the boiler furnace. Boiler: It converts the water into high pressure steam. It contains the furnace inside or outside the boiler shell. The combustion of coal takes place in the furnace. Air-preheater: It is used to pre-heat the air before entering into the boiler furnace. 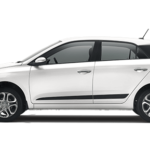 The pre heating of air helps in the burning of fuel to a greater extent. It takes the heat from the burnt gases from the furnace to heat the air from the atmosphere. Economiser: As its name indicates it economises the working of the boiler. It heats the feed water to a specified temperature before it enters into the boiler drum. It takes the heat from the burnt gases from the furnace to do so. Turbine: It is the mechanical device which converts the kinetic energy of the steam to the mechanical energy. Generator: It is coupled with the turbine rotor and converts the mechanical energy of the turbine to the electrical energy. Ash Storage: It is used to store the ash after burning of the coal. Dust Collector: It collects the dust particle from the burnt gases before it is released to the chimney. Condenser: It condensate the steam that leaves out turbine. It converts the low pressure steam to water. It is attached to the cooling tower. Cooling Tower: It is a tower which contains cold water. Cold water is circulates to the condenser for the cooling of the residual steam from the turbine. Chimney: It is used to release the hot burnt gases or smoke from the furnace to the environment at appropriate height. The height of the tower is very high such that it can easily throw the smoke and exhaust gases at the appropriate height. And it cannot affect the population living near the steam power plant. Feed Water ump: It is used to transport the feed water to the boiler. In the steam power plant the pulverised coal is fed into the boiler and it is burnt in the furnace. The water present in the boiler drum changes to high pressure steam. From the boiler the high pressure steam passed to the super heater where it is again heated upto its dryness. This super heated steam strikes the turbine blades with a high speed and the turbine starts rotating at high speed. 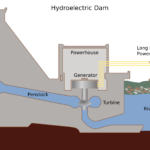 A generator is attached to the rotor of the turbine and as the turbine rotates it also rotates with the speed of the turbine. The generator converts the mechanical energy of the turbine into electrical energy. After striking on the turbine the steam leaves the turbine and enters into the condenser. The steam gets condensed with the help of cold water from the cooling tower. The condensed water with the feed water enters into the economiser. In the economiser the feed water gets heated up before entering into the boiler. This heating of water increases the efficiency of the boiler. The exhaust gases from the furnace pass through the super heater, economiser and air pre-heater. The heat of this exhaust gases is utilised in the heating of steam in the super heater, feed water in the economiser and air in the air pre-heater. After burning of the coal into the furnace, it is transported to ash handling plant and finally to the ash storage. Due to heat from the furnace, the water present in the boiler drum changes to the high pressure steam. From the boiler this high pressure steam is passed to the super heater where it is again heated up to its dryness. After that this super heated steam strikes the turbine blades with a high speed and the turbine blades starts rotating to at high speed. Here the stored potential energy of the steam is gets converted into mechanical energy. A generator is coupled with the turbine rotor. As the turbine rotates, the generator also rotate with same speed and mechanical energy of the turbine gets converted into electrical energy. Steam after hitting the turbines blades lost its most of the energy and leaves the turbine with low pressure steam. This low pressure steam enters into the condenser. Cold water circulates in the condenser from the cooling tower. Here the low pressure wet steam is converted into water. After that condensed water with the feed water passed to the economiser where it gets heated up by the economiser. And finally the feed water enters into the boiler by a feed water pump to repeat the cycle. The burnt flue gases from the furnace passes through the super heater, economiser and air pre-heater. This heat of the flue gases is used to heat the steam in the super heater to its dryness, to heat feed water in the economiser before entering into the boiler and to heat air form the atmosphere in the air pre-heater before it enters into the furnace. The ash from the furnace is transported to ash handling plant and finally to the ash storage. The power plant that operates on coal constitutes almost 41% of the world’s electricity generation. It is the modified Rankine thermodynamic cycle on which the coal fired power plant operates. 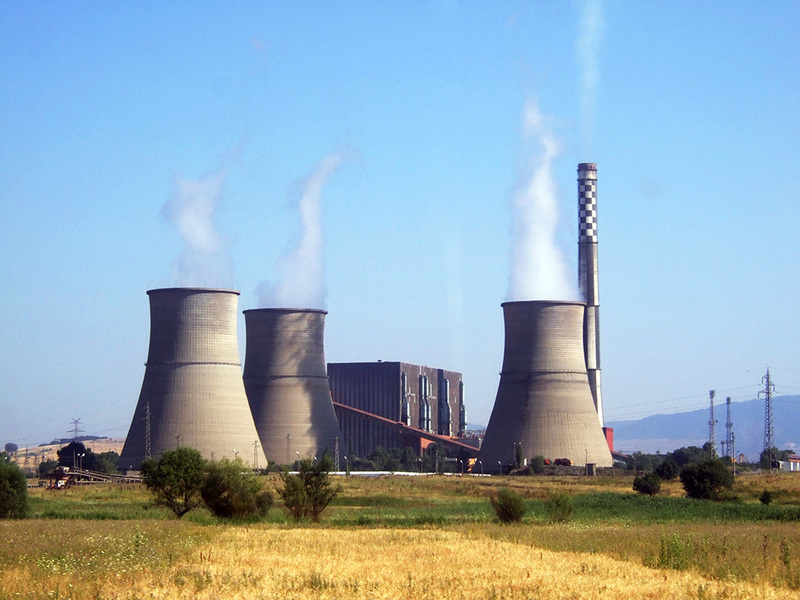 The overall efficiency of the coal power plant ranges from 32% to 42%. And this is calculated by the superheat pressures, and super heat and reheat temperatures of steam. 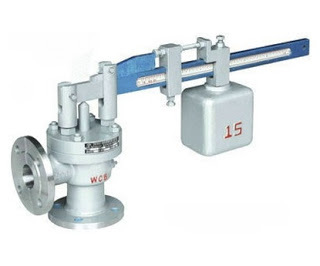 Most of the large power plants that operates at steam pressures of 170 bar,570 ℃ superheat and 570 ℃ reheat steam temperatures can achieve the efficiency ranges from 35% to 38%. The efficiency of the super critical power plants operating at 220 bar steam pressure, 600/600 ℃ superheat/reheat temperatures can achieve is 42%. The efficiency in the range of 45 to 48% can be achieved by the ultra-super critical power plants operating at 300 bar pressure, 600/600 ℃ superheat/reheat steam temperatures. 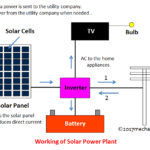 As compared with power generating plant, it has low initial cost and hence economical. Less land area is required as compared with the hydro power plant. Coal is used as fuel and the cost of coal is cheaper than petrol and diesel fuel. So the power generation cost is economical. This power plant has easy maintenance cost. Steam power plant can be installed in any area where water sources and transportation facility are easily available. If we talk about the overall efficiency of steam power plant, than is about 35 % to 41% which is low. Due to the release of burnt gases of the coal or fuel, it contributes to the global warming to a larger extent. The heated water that is thrown in the rivers, ponds etc puts and adverse effect on the living organism of water and disturbs the ecology. 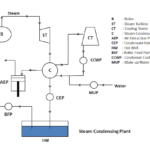 In this article we have studied about the construction, working, advantages and disadvantages and efficiency of steam power plant. If you find anything missing or incorrect than don’t forget to comment us. And if you like this article than like us on Facebook. 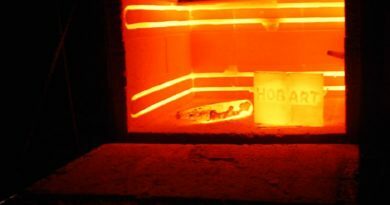 What is Annealing Process and Why it is done?